To Another Awesome Utah Staffing Professional! Another month brings another opportunity for us at YES to shine the spotlight on another of our awesome coworkers! 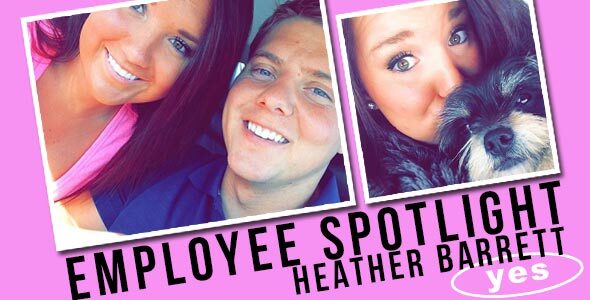 Heather is a very compassionate, fun-loving, and friendly employee whom YES is very fortunate to be able to call their own! She has worked very diligently since her very first day on the job and takes great care of some of our valued Northern Utah clients. She is an extremely valuable asset to our team and we're proud to announce her as this month's Employee Spotlight! I enjoy anything with my husband and family. Constantly learning and pushing myself with graphic design. Bugging Chase Nielson has to be one of my top 5. Anything with animals makes me happy! Traveling, I wish I could travel 24/7! I don’t like dirty things – stresses me out! When Chase won’t let me listen to country music in the office. When Reed makes me do sales. 3. What you like most about working at YES. I love the people I am surrounded by at YES. I also love helping those who are in search of a job. It’s a good feeling when you find a good fit and they are happy. The only thing I can think of is me as the boss. Just kidding, I wouldn’t change a thing at YES. Oooh….. Probably Thor. Big Muscular Thor himself. It would have to be anywhere with my husband & fam. I love going to my parents house with Bridger and just relaxing and laughing around family. 7. What’s the cutest animal on earth? Why? My dog Rue, a unique cute you might say. A fox is a close second. My biggest challenge is trying to not get every task done right away. I love the feeling of accomplishment. When I leave at the end of the day I want every task to be complete. If I have jobs that have not been filled it stresses me out. Then I think about possible candidates or ways to fill those spots all night! I don’t want to disappoint the supervisors who need those employees! I can always “try harder” but I think what would be best for me is to take a breath and say hopefully more people will apply tomorrow, or telling myself I’m only human. Some days it is just impossible to complete all the tasks that I have. Or a nice pep talk from Chase usually calms me down! I would say do not hesitate. I hate the feeling of just being a worker bee for a company and them not even knowing my name. Reed and Kerry are constantly communicating and encouraging me. 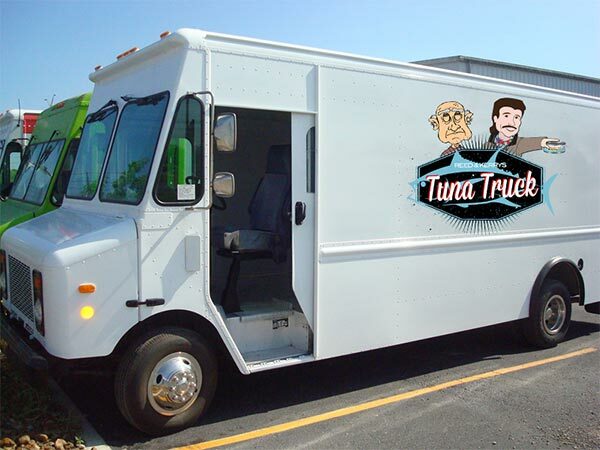 Who can say that the owner of the company they work for is around 24/7 and knows who I am personally. You are in charge of designing the logo. What does it look like? Thank you Heather for all that you do to help make Your Employment solutions the best staffing agency in Utah!